What do you do when you're disappointed with how your wedding photos turned out? Obviously, if you're after beautiful shots, settling with the first photographer you come across and calling it a day isn't going to cut it. Look through each photographer's portfolio to check out their styles and the way they capture special moments as well as handle various lighting conditions. Ask to see complete wedding day galleries from them for a feel of how they capture the entire wedding. Another important point that couples often don't consider: You have to be comfortable with voicing your ideas ad concerns to the photographer - if they're pushy or not interested, it's probably a no-go. Some couples go to the extent of having two shooters so they capture every single moment. But if your budget doesn't allow for it (and even if you do), consider giving a list of must-have shots and portraits to your photographer. A seasoned pro would know what to shoot, but after all, you can't expect him or her to have telepathic abilities and know that you planned for that close up of you and aunt Marge. So. 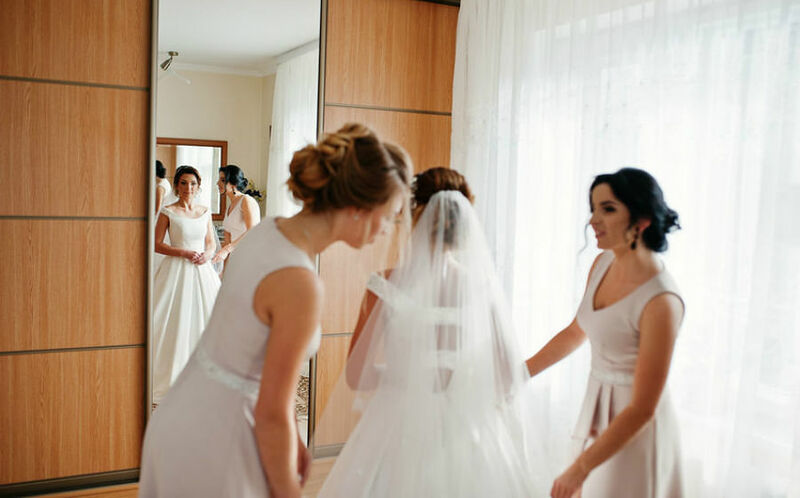 Your wedding photos are out, and you're less than thrilled (okay you positively hate them). Reevaluate why you hate them - make sure you're not being overcritical over that bit of armpit flab,(See: Look slimmer instantly! 8 tricks for your wedding photo shoot), or how the dress you picked doesn't look like how you envisioned it in pictures. Tip: It's your wedding day but don't go all out with the alcohol, especially if you're prone to getting flushed. There's only so much your photographer and Photoshop can do. You don't have to skip the drinks but take it slow and keep yourself hydrated. If there are missed shots, like during the first dance, there probably isn't much you can do about it. But if it's bad lighting, or bad angles (the photo of you at the altar looks great... except you look like you have two chins) in the photos, see if your photographer or graphic artist can do something about it post-production. Also check the contract on final payment and/or refund terms, although they might have it covered for work done/number of pictures, and not your perceived quality of the shots. You can also opt to have another wedding shoot with your bridal party with another photographer. This won't have the same mood and details of your actual day, but it's also another chance to explore a different style or setting. Hey, some photographers might even offer you a better deal when you show them your previous wedding shots! 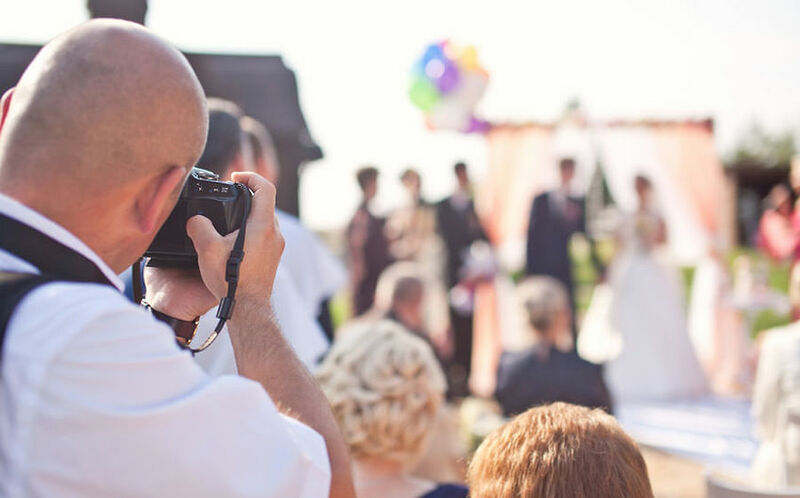 Alternatively, you have your other wedding photographers to fall back on - we really mean your camera phone-wielding guests and bridal party. They might have captured that special moment you were looking forward to having in your album! Not happy with how the photos were edited? Try editing apps and the filters that come along with them. You'll be amazed at what apps like Snapseed, Vscocam and Afterlight can do to turn a photo from meh to Insta-worthy. Other options to try: Black and white, or a vintage sepia filter. We know it's hard not to but ultimately, there's really no point in mulling over the pictures if there's nothing more to be done about them. 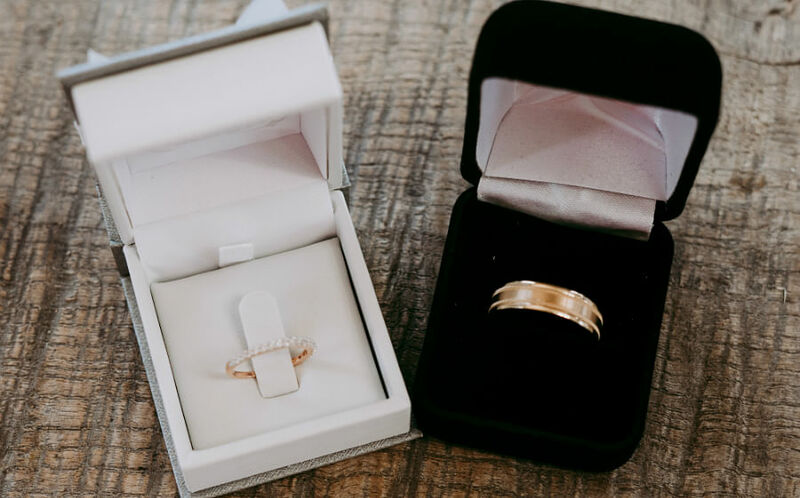 Just take heart in the fact that you still have treasured memories of your big day, and someone special to share them with. See also: WHAT DO GUESTS REALLY LOVE ABOUT WEDDINGS?